English Lantern Clock made by “William Martin of Bristol” Listed as a clockmaker from 1689 to 1739. This clock has its original verge escapement and what appears to be its original carved oak wall bracket. William Martin is recorded as working circa 1689-1739. A fine walnut cased longcase clock that is in the possession of the Library Company of Philadelphia, having once belonged to William Penn who is believed to have purchased the clock prior to his emigration to America in 1699. Ref: k0051. 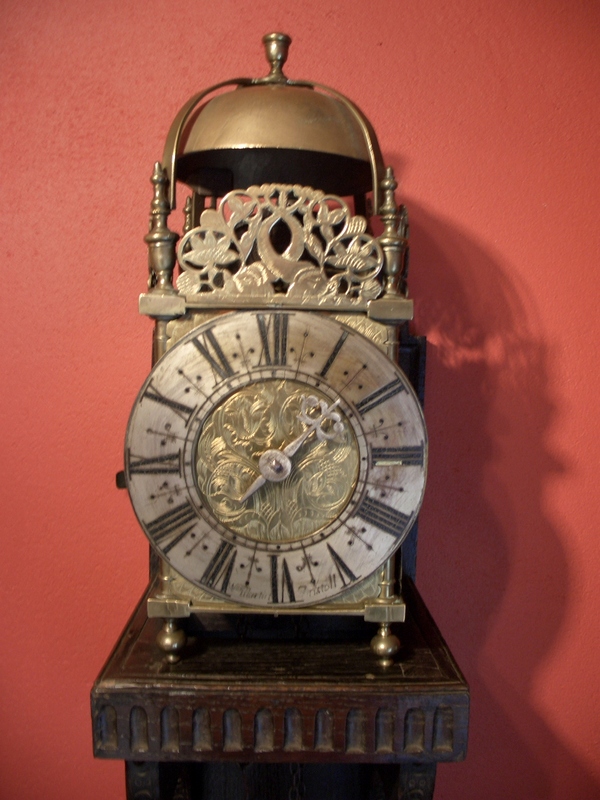 Another clock made by William Martin is in the possession of the Library Company of Philadelphia which was owned by William Penn founder of the province of Pennsylvania and who purchased the clock prior to his emigration to America. Twin weight Vienna wall clock made by A. Willman & Co. in Germany in the late 19c. Decorative carved walnut case. 8 day twin weight movement. Fully restored with one years guarantee. Ref: a0430. 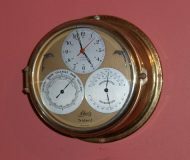 Early electronic German Schatz ships clock. Comes with supplementary hygrometer and thermometer dials. Ref: p9100. Gustav Becker, Vienna regulator – SOLD.